Restoring damaged teeth is done through the use of a dental crown. These are custom-fitted and made of heavy-duty porcelain. After a root canal, you may receive a crown to cover the part of the tooth that was affected. If you don’t opt for a crown following a root canal or to cover fillings after a cavity, you run the risk of further damaging the tooth and leaving it and your gums susceptible to bacteria and disease. Your dentist will reduce and contour the affected tooth before taking an impression of your teeth and gums. The impression is sent to a dental lab where your crown will be made. In the meantime, your dentist will fit you for a temporary crown which is used as a placeholder until your permanent crown is ready. Once your permanent crown is ready, your dentist will place it on the affected tooth then cement it in place. Many people worry that crowns are noticeable but they actually look like natural teeth. When you receive your temporary crown you will need to be very careful with the foods you eat. 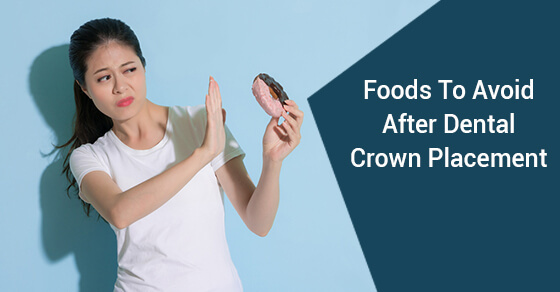 Moreover, when you get your permanent crown, you’ll need to stay away from the same foods for a few weeks to let the crown settle in your mouth. What can’t I eat or drink following a crown procedure? Nuts: Nuts are high in protein but they can be burdensome after a crown. Stay away from nuts until your have received your permanent crown. Even then, wait until your crown has bonded with your teeth before snacking on hard foods. Crunchy vegetables: Like with nuts, crunchy vegetables can hurt the newly crowned tooth. Cook vegetables thoroughly and avoid eating anything raw and hard until the permanent crown has settled in your mouth. Sticky foods: Any foods that are sticky to the touch, like caramel and candy, need to be avoided. In fact, you should avoid these foods entirely since the sugar content is high. Sticky foods can stick to the crown and cause cavities that lead to tooth decay. Cold foods: Following a crown procedure, your teeth may be more sensitive and feel pain when you eat cold foods. If your gums have receded so that the root above the crown is exposed, you may feel pain from hot foods too. Ask your dentist to recommend a toothpaste for sensitive teeth if the pain is unbearable. These toothpastes block the sensation of pain as it travels from the tooth to the nerves. Pop: Following a crown procedure you have to stay away from pop. Plus, cola products are bad for your teeth whether you have a crown or not. They are high in sugar and cause enamel erosion and cavities. Gum: Many people chew gum after a meal to freshen their breath. Instead of chewing gum following a meal, use mouthwash or rinse your mouth out with water. Gum can damage your crown if it gets stuck to the tooth. Raisins: Although raisins (if they are unsweetened) are a healthy snack, they are way too sticky for a mouth that has a fresh crown. In fact, you should stay away from all dried fruits because they could pull the crown right off your tooth. Popcorn: A favourite snack for TV and movie watching, popcorn can get stuck between and under your teeth. Be wary of this snack after having a crown put in because you could get kernels wedged in your teeth that can damage the crown. Ice: Do not chew on ice after your crown procedure. It is too hard for the crown to handle until it has bonded to your tooth. Also, you may experience sensitivity from ice following a crown because of its cold temperature. Steak: This is a tough food if not cooked properly. Steak can be hard and may not necessarily damage your crown but it will take you longer to chew due to its texture. Stick to softer proteins like baked chicken or fish until your crown is comfortable in your mouth. How do you care for crowns? Crowns can last over 15 years if you take care of them. In the days following the crown procedure, chew your food on the other side of your mouth. In the first days after receiving your crown, the cement will still be hardening. Once the cement has hardened and the crown is set, you can resume chewing on both sides. The area around the newly crowned tooth may be sensitive in the days that follow the crown procedure so it’s important to floss with extra care. Instead of lifting the floss from the gaps between the teeth, gently slide it out. It’s also important to keep up with your normal everyday oral hygiene routine and brush twice per day. Ensure that you are brushing the crowned tooth as you would any other tooth to remove bacteria in the area where the tooth meets the gum line. 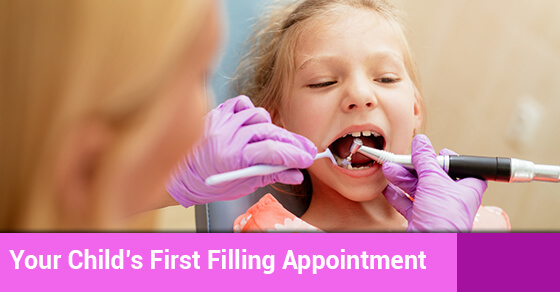 Finally, visit your dentist every six months for dental cleanings. These professional cleanings will keep the crown in good shape so that it lasts as long as it should. For more information about dental crowns or to book an appointment, please contact Dawson Dental. We can help you stay on top of your oral health.